A detailed map of Australia download for you. Get your detailed map of Australia as a download! 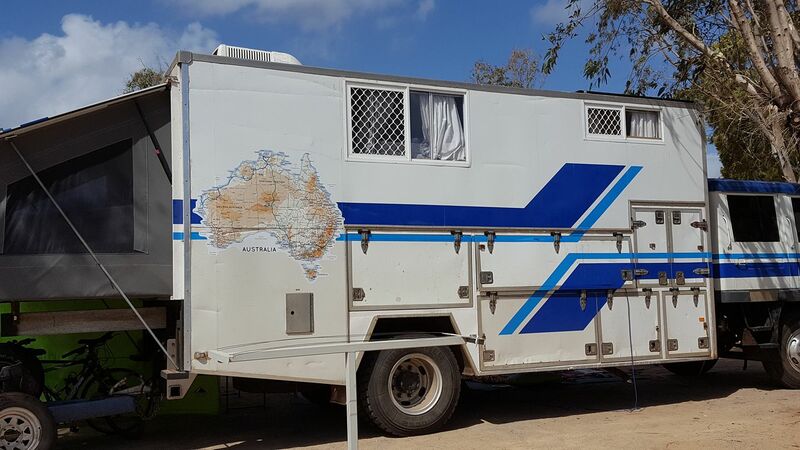 Getting your detailed map of Australia as a download is the perfect solution for those that wish to print their own sized map or are just travelling too much to know where you would be and where we should post our physical maps to. When (or if!) they go back to school they can take it in and show their classmates and teachers where they travelled around Australia. It certainly helped ours - and still helps them - to recall places and memories of our travels. 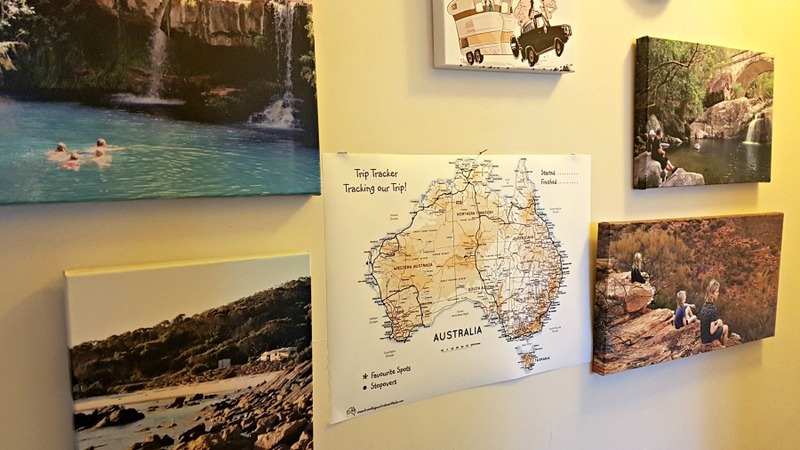 Whether you'd like to print an A4 copy for each of your children to track their own trip or you'd like to transfer the file to a USB and take it to a printer for a bigger size; our detailed map of Australia Trip Tracker is the solution. It's not a digital interactive map as there are so many of those out there, but one that you can download and print at your convenience. 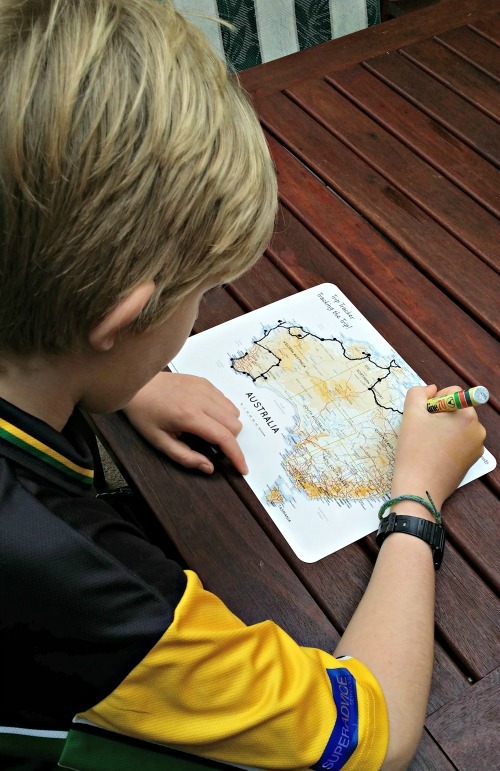 If you have a printer with you for the school work for the kids, then all you need to do is download your copy of our detailed map of Australia and print off a map each for the kids! We also have our physical maps in different mediums so please check out those too. 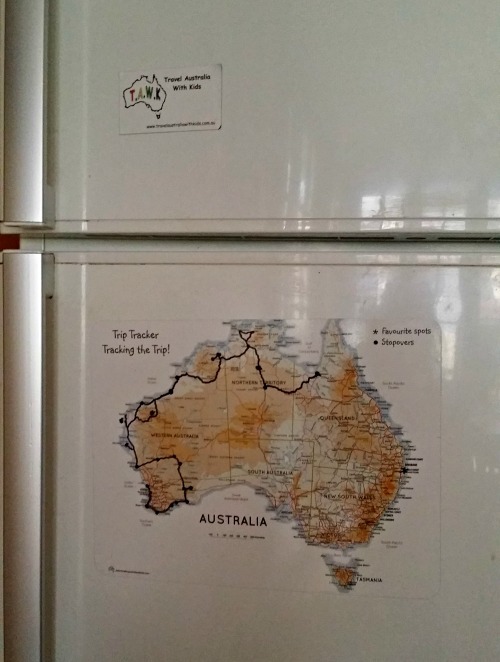 Our famous magnetic maps, which can be displayed on the fridge of your van or camper (or even on your car!). AND for the smaller Trip tracker, when the trip is over and you no longer wish to display it, hole punch it, as it's perfectly sized to file in front of their school work! The Magnetic Trip Trackers, really are a great idea for the grandparents or other family members to track your trip with you. It gives them a chance to be involved and to show other people where you currently are in Australia and also where you have been. However, if you would like to organise your own printing then, downloading our TAWK Trip Tracker Map is for you. You can then decide the size, the paper and the medium that you would like and get it printed in the next town you visit.